My father at Wadesborough, North Carolina, May 28-1900. To record an eclipse of the Sun. 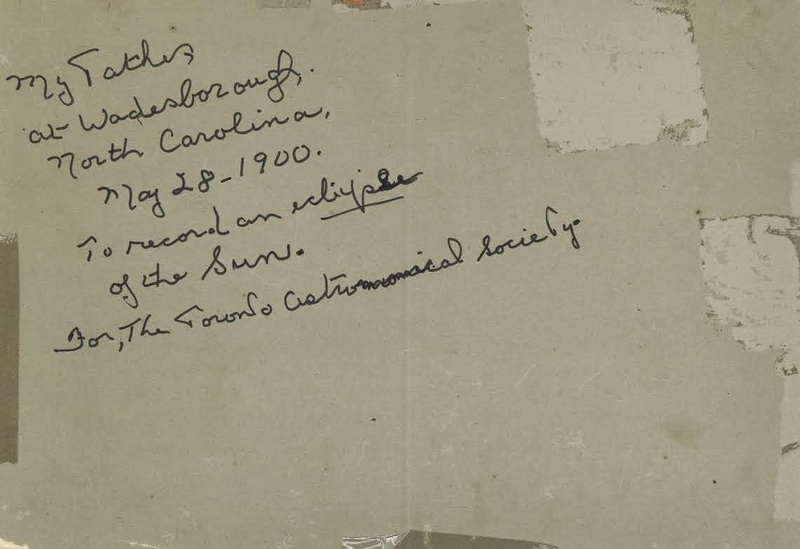 For, The Toronto Astronomical Society.